"When the police in a German city are unable to catch a child-murderer, other criminals join in the manhunt." If you want true escapism, there's nothing like an overrated old black and white movie from the 1930s. Thus, I'm finally going to say something about "M" which has now become fixed firmly in my mind as the best cure for insomnia since NyQuil. I can't even find the words to describe how boring "M" is to watch, or how overacted and frustratingly slow it all is. It's taken me over a week to get through "M" in 15 minute installments because that's as long as I could cope with it until my brain shut down in rebellion and I kept falling asleep. 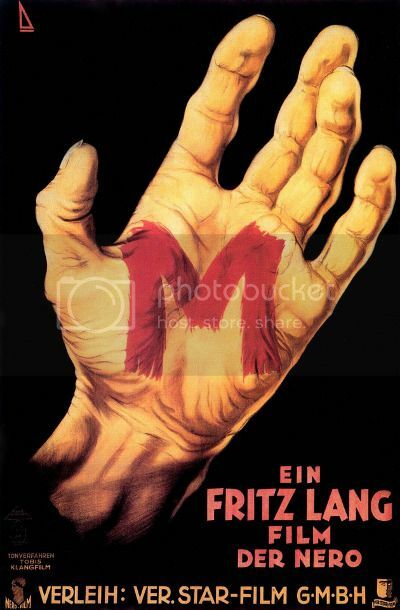 In the restored version of "M" (as embedded at the top of this post), a third of the movie is completely silent as Fritz Lang intended. There are no voices (or subtitles), no sounds of car engines, or even any ambience during these scenes. Essentially, this is a throwback to the silent era due to sound licensing fees at the time, but without the visuals of "Metropolis" to keep anyone entertained. Of course, you can always make up your own dialogue during the police searches. I chose to put the words "Where's the sausage?" and "I must find the sausage!" into the mouths of every character. Trust me, it works quite well. It works even better during the "talking" scenes once you turn the shouty German dialogue off completely. And, yes, before you ask, there are indeed lots of sausages in this movie. I'm sure that "M" was absolutely groundbreaking at the time in its depiction of a serial killer, but it's horribly dated and almost embarrassing to watch now. The cops have nothing to go on except that the killer owns a wooden table, a red pencil, smokes cigarettes, and can whistle one of the tunes from "Peer Gynt". Well, that makes him easy to single out then! And what is the gangsters' master plan to catch him? They use beggars to keep an eye on all the children in the city. Yeah, like that won't cause comedic complications. Facetiously, I was going to say that the poster is the best part of the film. I'm sure the more pretentious, artsy-fartsy film reviewers have a copy of it proudly displayed on their walls along with "Metropolis", "Nosferatu" and "The Cabinet of Dr. Caligari". The trouble is that "M" does have a few good points in spite of itself which makes that argument seem rather puerile. Peter Lorre is outstanding as the whistling murderer Hans Beckert (Fritz Lang did all the whistling), but he has hardly any screen time for the first hour among all the gangsters and cops who have their own agendas for wanting him gone. There's way too much political nonsense going on in the background which is dull as ditchwater to sit through. There's nothing like lingering over unnecessary details and too much talky exposition to really slow things down to a crawl either. After just over an hour, things start to come together with the cops realising that their murderer doesn't actually need to own a wooden table but may have written his "Jack the Ripper"-style letters to them on a window sill (thus increasing the number of suspects to the whole world! ), and the beggars manage to get a chalk letter "M" slapped on the back of Hans Beckert's coat. Like that won't easily brush off! I don't think I've ever seen a plot so contrived or with characters so inept since the last film I watched. More by luck than judgement, Hans Beckert gets trapped in a office building by a gang of burglars who, in spite of knowing who he is, don't seem to be all that zealous about catching him (although they eventually do). Colour me confused! The next twenty minutes provide plenty of opportunities for a lot of bulgy-eyed expressions from Peter Lorre as he is forced into hiding in the attic, but not much else. Could Peter Lorre be underused even more? I'd be surprised if his total screen time adds up to ten minutes including the very end. For those in the know, it's only the final kangaroo court scene which gives "M" its dubious claim to fame. It's all pseudo-philosophy with questions asked about what gives criminals any right to judge a worse criminal. Biblically speaking, it's precisely the hypocrisy that Jesus preached about with Hans Beckert being a not entirely convincing substitute. If you want to start a debate about whether or not insane killers should be protected by the law or executed for their crimes, just show the film from the 1 hour and 34 minutes mark. In the light of recent happenings in America, the final words of the film may hit home to parents. I'm shallow, self-centred and I only have cats so it's lost on me. "M" isn't really a horror movie so it may not be something you want to watch anyway. 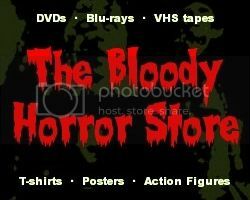 There aren't any child murders shown, no scares, no gory bits, or even any suspense. It's more of a crime drama with moderately interesting pre-Nazi Germany imagery. If you like looking at shop windows or watching lots of older German men in suits smoke cigars and drink beer from glasses as big as their heads, this is the movie for you. No wonder Hitler banned it! You can say what you like about all the bad things Hitler did, but hiding this drivel from the world wasn't one of them. With a running time of an hour and 48 minutes, "M" truly suffers from being all talk and no action. You can easily skip 75% of the scenes for a better paced and less convoluted story. I'm surprised that there isn't a MST3K version in existence which would definitely improve things.